The news broke on 2 September 2016. The Australian Sports Anti-Doping Authority (ASADA) released a statement that Michael Gallagher had returned a positive out-of-competition test for EPO. 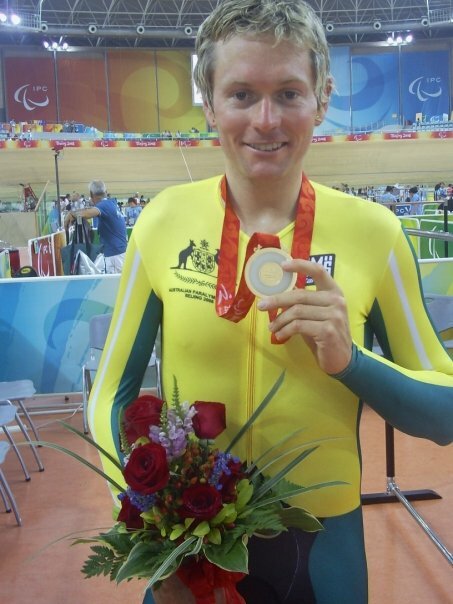 Michael – or ‘Micky’ as many refer to him as – is a double Australian gold medalist at the Paralympic Games (Beijing & London) in the individual pursuit in the C5 (para-cycling classification). 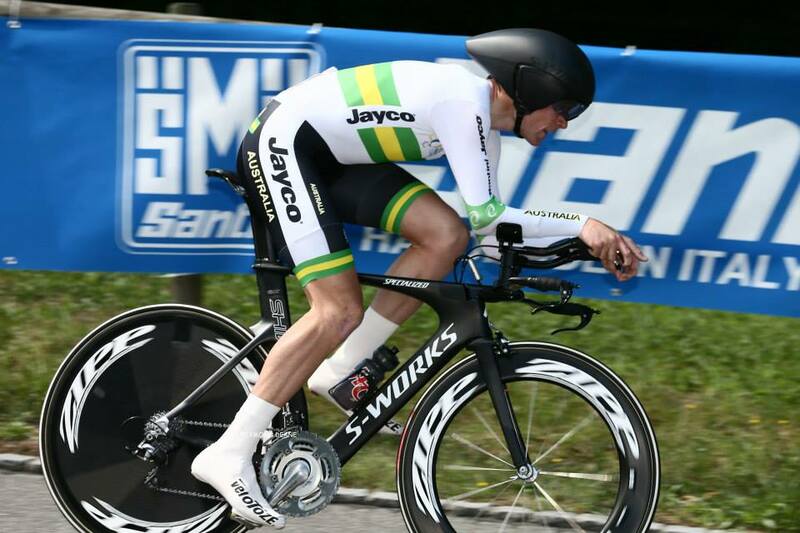 He also won a bronze medal in the C5 road time trial event in London. Off the bike, Micky is an all-round nice guy. Many who know of him in the local cycling community would refer to him as kind, friendly, approachable, gentle and a role model to many of junior cyclists coming through the ranks. Before his positive test you’d always see Micky marshalling lower grades at the local criterium and getting involved in club activities. 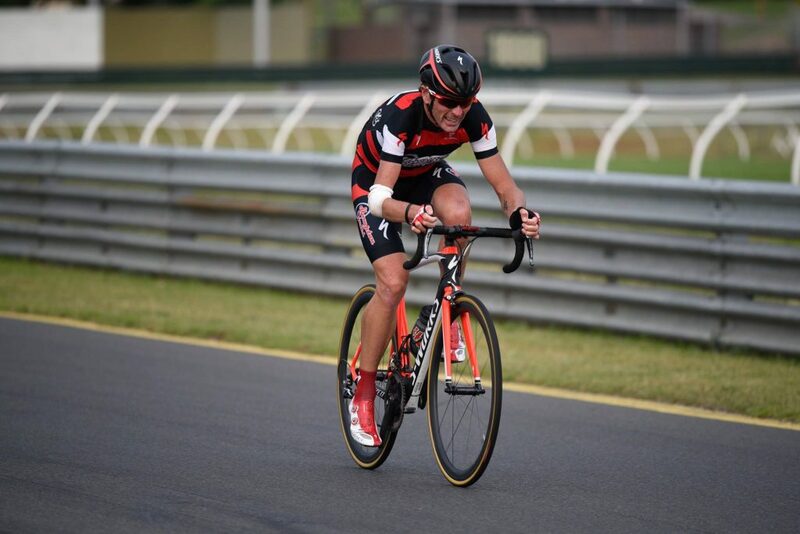 On the bike he’s a fierce competitor, not only at a Paralympic level but also at local cycling events, where Micky would demonstrate his incredible strength and endurance at the Caulfield Carnegie Cycling Club or state run Victorian events. Many people looked up to Micky and were amazed at his capability, in particular with a disability called Erb’s Palsy, which leaves him with very little strength or movement in his right arm, disabling any out of the saddle sprint finishes or aggressive climbing moves. He will stay in the seat and rev most people off his wheel; quite an incredible art form in itself, and amazing to see first hand. So when the news broke on the 2nd of September 2016, those who knew Micky were shocked. If you had to create a ranked list of people in the sport who might be drug cheats, most would have Michael Gallagher at the bottom of the list. A stark reminder of the grey in performance enhancing drugs and the spotlight that is shone upon a professional athlete who’s made a mistake. Lee starts off the discussion asking the question “who is Michael Gallagher”? Michael immigrated from Scotland when he was young and ended up in Broadmeadows with his big family. 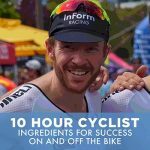 He took up cycling when he was 25 years old and started racing 6 months later. Michael has Erb’s Palsy which is nerve damage on the right side on his body. Michael was a large 13-pound baby, and the doctor damaged the nerves on Michael’s right shoulder and arm by ripping Michael out by the arm. The decision by the doctor was made in order to ensure Michael survived the birthing process. Unfortunately, he lost muscle growth in his right arm due to the nerve damage that occurred. As a result, Michael can’t straighten his arm or raise it above his head, in addition to having significantly reduced strength in that arm. Ultimately nerves in the shoulder that lead to certain muscles never grew. Lee asks if Michael can get out of the saddle with his disability. Through core stability Michael can climb out of the saddle to a certain degree but not on flat surfaces and nor aggressively in any type of sprint finish. When Michael took up cycling he immediately knew it was for him. He’d attempted many other sports as a kid, but his disability often made aspects very difficult. For example, he played soccer but constantly got done for handball because his right arm sits slightly in front of his body. While he couldn’t get out of the saddle in cycling, his legs could do the talking. A Glenvale criterium at Caulfield Carnegie Cycling Club was a memorable first win for Michael in D grade. Michael signed up with Hilton Clarke (cycling coach) to try and get up into A grade in the criteriums. Hilton thought he should try out as a Paralympian. Before he knew it, Michael was out on the track doing a time trial test! In 2005 Michael came 4th in the individual pursuit at a national event. The 4K pursuit soon became a key event for Michael. Michael won his first gold medal at the Beijing Olympics. Then Michael went back to back by winning gold at the London games in addition to a bronze in the road time trial. Michaels showing off his gold medal at the Beijing games. Lee asks when Michael first considered taking drugs – Michael says it was never a decision he made at the drop off a hat, the thought grew over time. It matured step by step as per the intro to this podcast. Lee asks if Michael’s heard of other Paralympians on performance enhancing drugs. Michael has heard about it but it’s all hearsay. Michael describes taking EPO as a Dr Jekyll and Mr Hyde type of thing, it was motivating that I was able to get out and train, I wanted to ride more and see what watts I could do. Michael talks about his numbers – notably power. His best numbers had occurred in 2013, although throughout 2014 and 2015 they hadn’t improved and his motivation was dropping. His financial situation was also worsening, with the pressures of being a gold medalist, having to train harder to get close to the numbers he knew were to be expected. While Michael started getting some government grants in 2013, he had to start doing certain events that he typically wouldn’t have done, creating an even more demanding racing and training schedule, limiting his abilities to create other revenue streams to fund his daily life. Lee asks Michael how he thinks he would have gone at the Paralympics if he didn’t take any EPO. Michael doesn’t think he would have gotten there at all without it, given his dwindling motivation leading into 2016. Lee asks what’s it like to be on EPO. Michael says you can put more out and the pain seems to be less. Once you stop your efforts you forget that you were hurting so much. It’s like you’re in amazing form the whole time. You feel strong and energetic. Off the bike you feel terrible though, Michael explains “how did I get here” thoughts run through your mind. Michael says he has become a lot more understanding of doping and the physiology behind it. Michael has had to learn a lot about himself over the past 12 months. Lee asks if Michael was worried about EPO, in terms of the side effects. Michael says the mindset of an elite athlete is interesting – some would prefer to get terminally ill and die than not win a gold medal. Lee asks how he went about getting a hold of it – Michael says it’s easy to get, he went into forums and then eventually you can find articles and view scientific studies, enabling you to figure it all out. Michael ended up buying EPO on the internet and got it delivered to a discrete letter box location. Michael started off just researching the topic. Then he was just going to order it and see if it got delivered, and then it did! Michael was covering his traces as if he was being watched or followed. Lee asks about how he took it – a lot of the articles say if you inject it into your veins it can be cleared quicker. Michael was injecting subcutaneously, meaning there are less side effects, if you don’t do it for a long period of time. Lee asks how long it took for Michael to notice improvements – Michael says the improvements come after 10 days. Then when you stop, the effect will gradually reduce over three weeks. Michael says he was on the whereabouts program up until London. Michael had only been tested sporadically, a couple of random tests at home but never anything consistent enough to make him feel the chances of being caught were probable. Michael says he went to an Italian training camp leading into the games, and was tested in a hotel room, out of competition. 5 days before going to Italy Michael had taken his largest dose of EPO as he would be training in altitude for a long period and didn’t plan on taking anything while at the training camp. The drug test that was done in Italy was a new state-of-the-art test, Michael thought that maybe he was targeted because he his previous test may have had small traces of EPO in the sample. 6 week after Michael was tested he was in Rio, still unsure if the Italian test had any traces of EPO. The head coach of the cycling team came into his room, immediately saying can you come downstairs, something is up. The whole training camp Michael had been thinking this could be it and at that moment he knew it wasn’t going to be good news. Michael went downstairs and met the head of the Paralympic team, a welfare coordinator, and the team physio. Michael then spoke to ASADA and then found out the news. Michael immediately felt really bad for the people who were there; teammates, the head coach. Michael was flown out the next morning. ASADA told Michael it would hit the news. Michael rang his wife and told his wife, she started crying, telling Michael to be calm and that they’d get through it together. Michael read some of the commentary released after he was caught. “How can you let your teammates down?” was the message from some people he knew. They were the hardest for Michael to deal with. Michael was coaching youngsters and lost that job immediately. He was a good role model before the doping was exposed and a lot of that was taken away. A lot of juniors coming through the VIS looked up to him. Micky on the Sandown track at the local criterium scene in Melbourne. Michael has stayed away from the cycling scene for a bit. “I don’t intend to always stay away”, Michael says. He goes to say that, out of respect, he should be away from the local cycling scene for a while. Lee asks if Michael has been banned yet. Not as yet. Michael was very open and honest when he confessed to the authorities. He told ASADA a lot of detail they were completely unaware of. Michael has stripped himself of clean results because of the way he feels now. Lee asks if there’s been fall-out. Michael says if anything he’s found people who have become friends. The common link in cycling is now gone so he doesn’t see a lot of people he once caught up with often. Lee asks what would have happened after Rio if he didn’t get caught. That’s a hard questions to answer but Michael says he wasn’t just looking for wins – being a good cyclist that people looked up to was a big driver for him as well. Lee asks about how his family took it – Michael lost his mum leading into the games before it all happened. His dad was a bit naïve and ignorant about it all, especially surrounding the difference between recreational and performance enhancing drugs. Lee asks what advice you would give someone who’s thinking about taking performance enhancing drugs. Michael says try and learn about yourself first. Michael got his EPO through a web channel in China, so it was relatively cheap. Michael says the benefits you get on EPO are bigger over long distances and across up-hill events as compared to, say a flat 1-hour criterium race. Lee asks Michael what he’s doing now with cycling, Michael is doing lots of solo rides and training for some personal goals, e.g. an “Everest” attempt. Michael says no one’s harder on himself than him. Michael has never been angry that he got caught. He regrets that he decided to make the decision to take it in the first place. Lee asks if Michael will race again. Michael may dip his toe in the water and be friends with racing in the future but the love obsession is most likely history. Lee asks if Michael won some local races on EPO – Michael says he won some combined races and some of the crits in 2016. Michael says apart from the benefits it gives you, EPO is a confidence boost, and as a lot of the sport is mental, it’s a big factor. Lee asks Michael if he’d like to say anything final. Michael apologises to the cycling community as a whole and how his selfishness has impacted the sport.